Screen panels are composed of two or three 304 or 316 stainless steel wire cloth layers with steel backing plate and steel frame combined together, which can get an better filtering effect. Screen bottom adopts high strength steel frame, supporting bar with the moderate tension screen cloth. They are combined together to infinitely enhance screen intensity and endurance,and get a better filtering effect. TR Solid Control is a professional steel frame screen manufacturer. 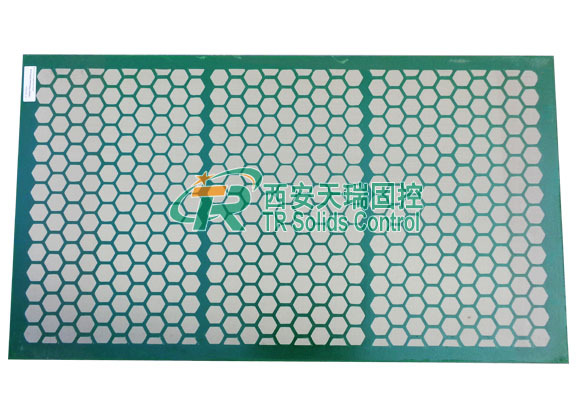 We supply all kinds of screens for solid control. It has the features of wear-resisting, long service life, higer flow rate,easy disassembly. Choose TR Screen, choose rest assured.